Amazon has got this large 13.5 lb. 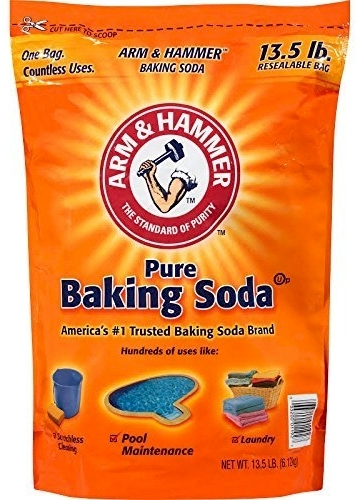 bag of Arm & Hammer baking soda for $6.59 (49 cents per pound). Limit of 4 per account. If you use baking soda in your laundry and for cleaning (or if you do a lot of baking), this is a terrific price for the size. It's about a dollar more than my local Costco charges for the same size bag, but for me, the convenience of having it shipped to my door is worth the extra buck.